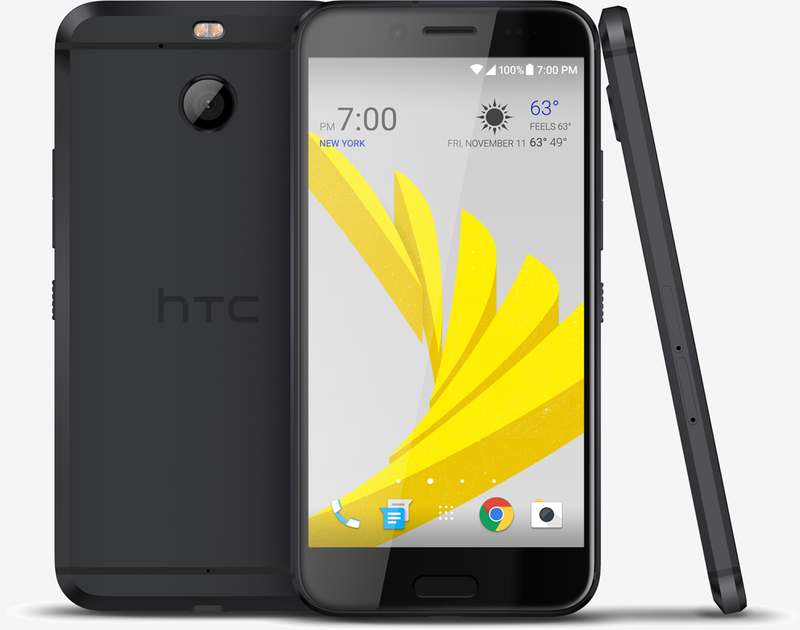 HTC on Friday announced a new smartphone available exclusively on Sprint’s network in the US. The HTC Bolt isn’t really a high-end flagship as evident by its dated hardware but rather, a device designed to serve as a showcase for Sprint’s latest network technology. The HTC Bolt features a 5.5-inch, Quad HD (2,560 x 1,440, 534 PPI) Super LCD 3 display with curved-edge Gorilla Glass 5 that’s powered by last year’s Qualcomm Snapdragon 810 octa-core SoC (the same chip that was found to run hot and throttle early, often and severely) and 3GB of RAM. The handset also features 32GB of local storage (expandable via microSD card slot by up to 2TB), a 16-megapixel rear-facing camera with f/2.0 lens, phase detection autofocus, dual LED flash and optical image stabilization, an 8-megapixel front-facing camera, NFC, Bluetooth 4.1, a fingerprint sensor and a 3,200mAh battery with Quick Charge 2.0 technology. Aesthetically speaking, the device looks very similar to the HTC 10 with an aluminum finish and large chamfered edges. It also carries an IP57 rating for water and dust resistance and critically (for some, anyway), doesn’t have a 3.5mm audio jack, instead opting for audio over USB 2.0 Type-C.
Where the phone really stands out, however, is in the networking department as it supports 3x20 carrier aggregation to boost connectivity speeds over Sprint’s LTE Plus network thanks to its Snapdragon X10 LTE modem. The catch, as The Verge correctly points out, is that this only comes into play in cities where Sprint has launched the feature which, as of writing, includes Chicago, Cleveland, Columbus, Dallas, Denver, Kansas City, Minneapolis and San Francisco. Something else worth mentioning is the fact that, although it does ship with Android 7.0 Nougat, it’s also loaded with lots of bloatware. The HTC Bolt is available as of writing priced at $600 up front or $25 spread out over 24 monthly installment payments in your choice of gunmetal or glacier silver color schemes. While there’s a lot to like here, the fact that it’s powered by a processor from 2015 with a sketchy reputation and its key selling point only works in eight cities is hard to overlook, especially given its $600 price point.